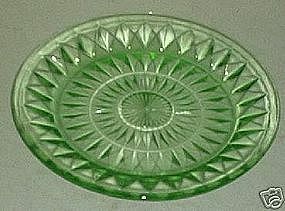 Windsor is a depression glass pattern that was made by Jeannette Glass Company from 1932 to 1946. Offered here is the 7 inch salad plate in green in excellent condition. I have 3 available, price is per plate. For other pieces of Windsor, please check my other listings.